Apart from being the first electronic stock market in the world. Nasdaq, with full meaning, The National Association of Securities Dealers Automated Quotation system, was founded in 1971 and is probably the most well-known of the three U.S. stock exchanges worldwide. Not only is it the largest stock market in the United States, with representation of over 3,000 companies, it's also the biggest when it comes to the amount of actual stock market dealing and stock trading as well. Initially unpopular with traders due to the fact that, because it was an electronic bulletin board that displayed share prices as opposed to allowing buyers or sellers to transact together. NASDAQ came into its own when Wall Street took its infamous free-fall in 1987. Because dealers were hit hard, they were very reluctant to speak to the buyers that they represented, and this is where the National Association of Securities Dealers Automated Quotation system bridged the gap. Not only that, but it also allowed the general public to see what previously was only privy to actual stock brokers, and this changed how the stock market worked forever. 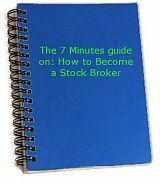 Another reason why it is such a popular a stock market tool to use is because of the way it looks out for "the little guy" as well as the multi-million dollar businesses. With the way that stock markets can fluctuate so wildly, it's often easy to lose sight of how smaller markets are doing compared to the big ones, yet it not only remembers these markets, but processes any orders automatically. Add that to the fact that it accounts for just under a third of the whole U.S. stock exchange, and you can see how powerful the National Association of Securities Dealers Automated Quotation system really is.